stef silib is an italian singer/songwriter that, like many, spent time in america and fell under spell of our musical traditions. if his new EP '424 kelton ave' (named for his address in los angeles when he was a student at UCLA), the american sounds that inspired him most were troubadour folk and punk rock. saunan tonttu seems to be a concept band whose thing is an anti-gnome agenda. gnomes are those little mythical people with red hats who fix your shoes or something. this song 'thus spake gnomethustra' is some moody, atmospheric classical string-type music with a story spoken over it in a creepy gravelly voice. it's not in english, but i'm assuming it's about gnomes, and that it doesn't paint them in a positive light. towards the end, the song becomes sort-of a dark metal chant with guitars and drums joining the strings. i'm not sure i fully understand what's going on here. get it here. you can listen to more anti-gnome propaganda on their last album 'nekrognomekon'. if you follow welsh singer/songwriter laurence made me cry (AKA jo whitby) on twitter like i do, you'll know that she has been laboring over a new LP, which has now become a series of EPs, for months now. finally, we get to hear something, in the form of a single, called 'melete'. it's less folky than some her earlier work, falling into more of a meditative pop zone. the production is almost trip-hop. it's a moody break-up song, with the vocals up-close and intimate. i like this direction. the full EP, 'titan's daughters', will be available in february. 'eggs' is the newest LP from new england songwriter and string-picker wes buckley. his last recording was a spilt 7" with the immortal michael hurley, a living legend who's first LP came out on folkways records in 1965 that you can still see today in a small nearly empty bar with kids dancing in front of him and knocking over the tip jar...sorry, that's my own memory. anyway, 'eggs' is great and dense LP of folk rock that has it's own feel. wes's snaky guitar playing in both electric and acoustic modes is matched by organs, sparse strings and pedal steel and backed up by a vibrant rhythm section. his voice rises high and clear as a bell over it all. the vibes are refreshing and the sound is timeless. recommended. oreaganomics is an experimental duo from chicago. they did not provide me with a whole lot of information, but they have some tunes on soundcloud to share. their strange sounds seem to made from mingled samples, random percussion, radio trash, drum machines and synths, and other assorted noises. there is even some midnight cowboy drug-folk in there. they vary highly in catchiness and style. i recommend a listen. my favorite is 'all thumbs no tung'. listen to a few more here. they have also released a full album you can stream from tumblr, something i have not seen before. 'the parade' is the latest EP from german-based, new-orleans-grown singer/songwriter jordan prince. it features lyrically dense tunes songs delivered in jordan's high, delicate voice. the production is simple and has an organic feel, built up with guitar, banjo and some harmonies, with tight rhythms and few embellishments. arrangements like these allow the insightful and touching songs to speak for themselves. transmission club is an indie/folk band from cork, ireland. their latest EP, 'salt', is a lush collection of wistful home recorded tunes. introspective lyrics, dreamy atmospheres and catchy choruses characterize the three tracks. the final song, 'sailing', has a notably huge ending that showcases the band's dramatic powers. jane bang is a nationally successful electronic/hip-hop/dance music producer and club DJ. her newest song is called 'make a ho rich'. it's a trap-style jam that reminds me a bit of dej loaf with less gangster vibes and more living the high life and motivating the dance floor. there are two remixes you can check out on her soundcloud, one by sami toumi that takes it in a heavier electronica direction and one by illium that's more downbeat and psychedelic. recommended if you're in need of a banger. maywoods is a rock/folk band from kentucky. this demo of their new song 'mountain's basement' is a lofi, gently psychedelic slow jam with a nice jangle and homespun harmonies. drums kick in past the halfway point, as does a fuzzy solo, and the song finishes heavier. there are a few other demos to listen to on their bandcamp. if you follow this spot you'll know that i don't really distinguish between demos and whatever the 'finished' thing might be called. that lofi, first-try vibe is a thing i love to experience as a listener and as a creator myself. that being said, i'd be excited to hear a finished album or EP from these guys if only to hear a number of the tunes in their intended sequence. 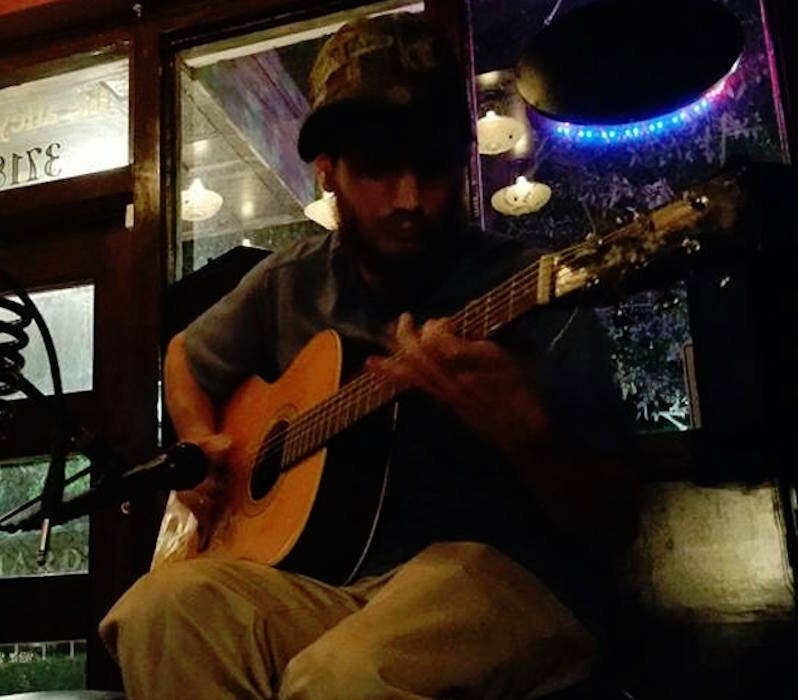 jesse ruben is a brooklyn, new york singer/songwriter who seeks to inspire people with his music. 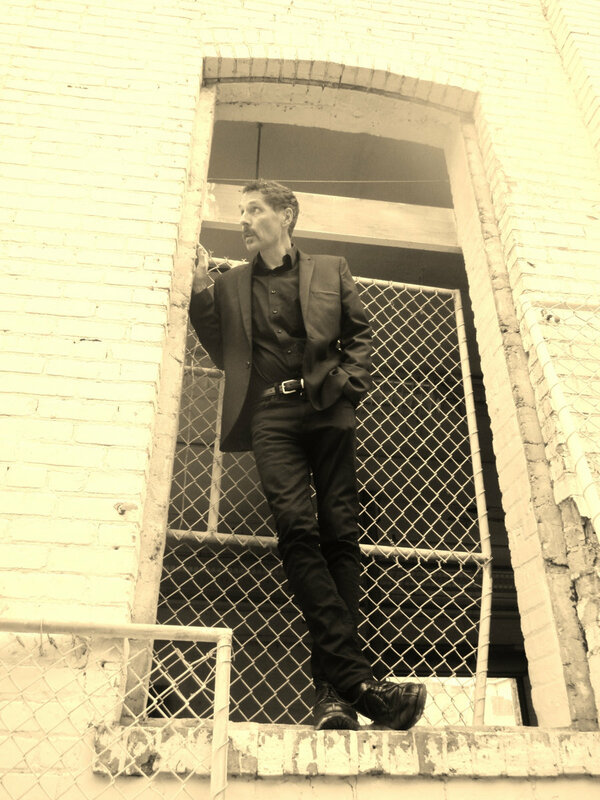 his current featured tune 'this is why i need you', is a sweet love tune housed in airy contemporary folk production. check out more about jesse ruben here. mud pie sun is lofi recording duo from philadelphia. 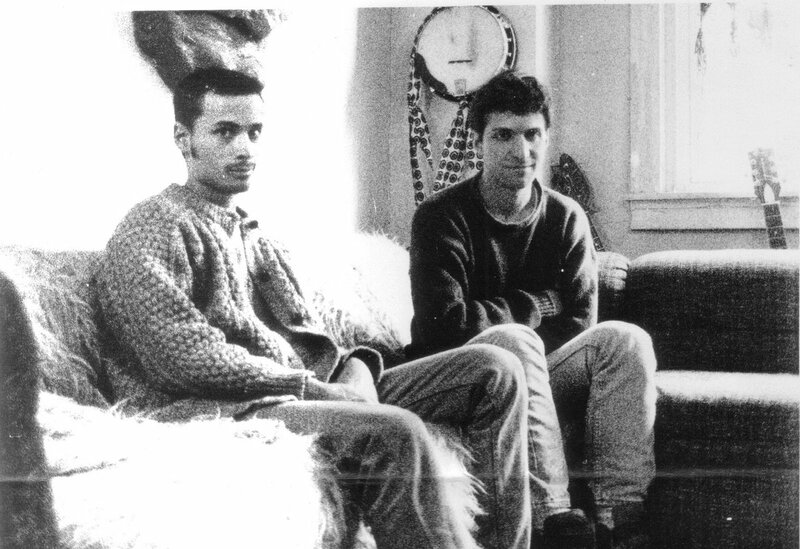 they actually made 'new swing mood things/two at noon' way back in the early 90's on a tascam 4 track and self released it at that time as a limited edition DIY cassette. now, with the advent of bandcamp, they have decided to re-issue their old material digitally. i'm glad i get to hear it. glad these guys kept recording together over all that time too (check out this 2012 release, 'wooden circle'). melodic, home-spun, psychedelic, slacker folk/rock that sounds like a time capsule, which it pretty much is. don't worry, you can still buy it on cassette too if you want. get it here, CD, cassette or digital. 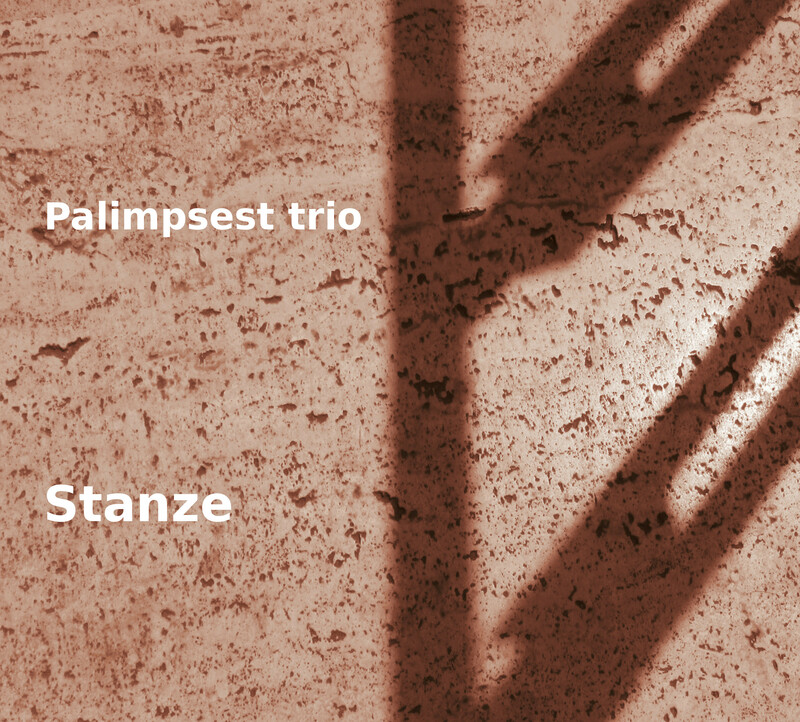 'stanze', a new work by a group of italian musicians recording as palimpsest trio, is an improvised free jazz album with clarinet, saxophone, piano, bass and objects. there is beautiful playing and inspired noise-making throughout. the clarinet meander of the first half of 'aubade' is particularly stunning. madison, wisconsin based singer/songwriter blair clark's new album 'ring a bell' took me by surprise as soon as i hit play. the music is lean; soulful and minimalist with organs providing most of the flavor over a tight rhythm section. blair's new wavey croon-yelp, backed up at times with some nice harmonies, provides an effect of modern, cosmopolitan noir. reminds me of the vibes that can be felt from some of leonard cohen's more recent work. les gruff and the billy goat are a roots rock band from st louis, missouri. they blend string band and rock band instrumentation for a stompin' and swingin' alt-country sound. the fiddle and mandolin come together with gritty electric guitar and a rock rhythm section. their self titled album is full of down home jams. prolific canadian lofi/bedroom style singer/songwriter david ivan neil has been making videos lately to go with a number of his sweet, ragged tunes. some are new and some are from his 'folk cancer' benefit album. check out the videos below. these organically trippy domestically situated videos are pretty ambitious for the work of a lone man with a cell phone (he did have the help of his family for the last one!). as david said to me, (i'm paraphrasing) 'it's a great time to be creating things'. download his music here. i've written about a good number of texas based american primitve practitioner william csorba's recordings, so i won't repeat myself. i'll just say check out this self-released bootleg from last month, featuring tunes from his last few albums as well as some covers by the giants (fahey and rose). interesting to hear the loud room shut up a bit when he gets down to shredding. 'vows', the newest album by new york noise/pop/psych band arklight, is also the latest transmission from the excellent georgia cassette label fall break records. 'vows' is a warm collection of psychedelic slacker folk that sound like it was as fun to make as it is to listen to. detached, calvin johnston-esque vocals take the listener down strange lyrical paths at the pace of snare, tambourines, and reverby acoustic guitars. weird, whimsical organ riffs and occasional echoey guitar solos ensure that the journey is not so straight-forward. classic lofi vibes, another good one from FBR. 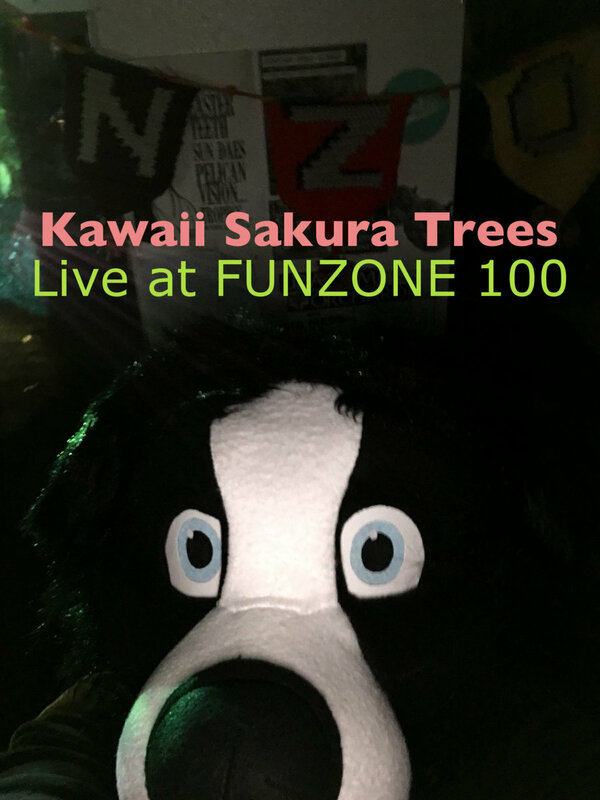 kawaii sakura trees seems to be a one man ukelele band invoking that particularly japanese version of cute that is implied by 'kawaii'. his songs sound like children's songs but i get the sense there is some darkness hiding behind the oversized eyes. then again, maybe not. it does appear that he plays in a big mascot costume resembling a dog. this live recording is pretty lofi but it leaves you with a decent impression of what is going on. this one is leaving me unsure of what to write, and i like contributions like that. koala and the kholes is the recording name of a solitary californian punk/anti/folker. he has a large number of songs available for streaming/download on soundcloud. i'm featuring the first one, 'sheolburbia', which i really like. it's like an extremely slacked up gutter punk take on the theme of jim carroll's 'people who died'. it's very sad and touching and just good. koala's music is simple, guitar and voice with minimal overdubs, maximum feelings. i'm adding this cover of 'sloop john b' too, i love this song and i love the koala does it. listen to a bunch more koala and the kholes here. lero is an experimental/lofi band from ontario that describes their degree of noise as 'varying'...some of their albums being more straightforward than others. they were not hyping a new recording in particular, so i decided to check out 'in sunset a glow glory', their second-to-newest release, and it seems to fall on the noisier side of noise, at least in that it eschews song structure in favor of soundscape. it's not an abrasive noise album though, it has a mellow presence that feels somehow like a dry mist...a contradiction, but easy enough to swallow. it features distant, abstract guitar figures over undulating drifts of textured sound. recommended. the latest (slightly) more song-y effort is 'take home dream', on which the soundscapes at times give way to spectral folk meditations. 'hotchpotch' is the latest in a deep catalog of DIY recordings by glaswegian artist kidd, who has gone by various other names over the years. all that experience shows. 'hotchpotch' is a confident and sunny set of stately psych-pop jammers, in the great british psychedelic pop tradition. laid back, mysterious, and highly recommended. full of subtle instrumental touches that make you think twice. brandon callies band is an austin, texas based rock band. their newest album is called 'there's a killer down in texas'. it seems to be a bit of a concept album, as evidenced by a few bits of expository sampled conversation. it's a heavy rocker surrounded by an air of southwestern menace. bluesy riffs drive the story forward, pop-punk choruses drive the point home. josh gray is a singer/songwriter from maryland. he's just put together a debut EP of his songs. he works in a tried and true troubadour style. percussive alternating bass note guitar picking and tales of criminals, vagabonds, love and the road sung in a gravelly voice. check out the track 'the outlaw' from the debut EP. justin sawicki is a singer/songwriter from ontario. his debut album 'upsala trees' is due out soon. you can stream the title track as a sample. it's a roots-rock stomp that features some strong harmonies, reveling in the mysteries of his northern homeland.